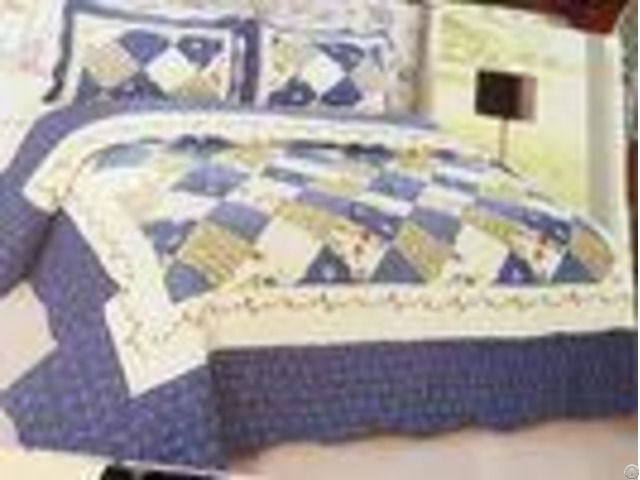 Blue Checkered Home Bed Quilts Soft Touch For Indoor Household Decoration Name: Printed Imitated Patch work bed quilts Fabric:70gsm Polyester Microfiber Printed Filling: 200gsm Polycotton Design: Full printed but look like imitaed patch work Size:' 160*240cm for bed cover, 50*70cm+5cm for Pillow case. Packing: PVC bag + Insert Card Moq: 1000sets Per design per color Delivery time: 45~60 Days after the final confimation depends on season Payment terms: LC and TT Why choose Us? - - - - 1. Abundant varieties of products to respond to different market demands. | 2. Reasonable MOQ makes it easier for you to start promotional business very well. | 3. Pictures and videos can be provided to you to track the whole processes. | 4. *24 Hours Service: we treat clients as friend. | 5. 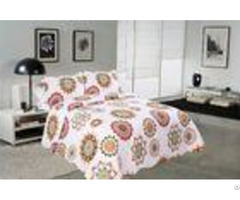 High Quality: We have strict quality control system and enjoy a good reputation in the world. | 6. We can arrange production to meet your own designs. | 7. 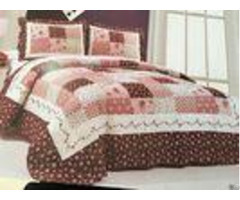 Our quilts have meet the ISO standards and we accept OEM service. | - - - - FAQ: 1, How can I place order? You can contact us by email about your order details, or place order on line. 2, What's the order procedure? First we discuss order details, production details by email. Then we issue you an email for your confirmation. You will be requested to do payment 30%-40% T/T before we go into production. After we get the deposit, we start to process the order. We usually need 45-60days for production. During production and productiong finished, we will contact you forquality checking Afterbalancepayment has been settled, we start to prepare the shipment for you. Business Description: Products are exported to Italy, Spain, Portugal, Greece and other European countries as well as the United States and the Middle East.Because our company's products are rigorous and elegant, the products are popular with domestic and foreign customers and sell well.